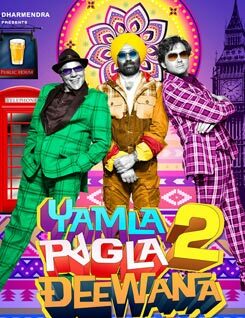 Jatt Yamla Pagla Ho Gaya Lyrics from Yamla Pagla Deewana 2: This is a very well sung song by Mika Singh and Suzzanne Dmello with nicely composed music by Sharib and Toshi. Lyrics of Jat Yamla Pagla Ho Gaya are beautifully penned by Kumaar. Bas dance mein doobi hai..
Seene vich la, seene vich la seene..